He claimed that PM Modi never repeated clothes once worn and that whatever the PM wears costs Rs 2 lakh. "It is being said we have given advertising of Rs 526 crore. Completely false. We have released advertising worth Rs 76 crore. That's it. 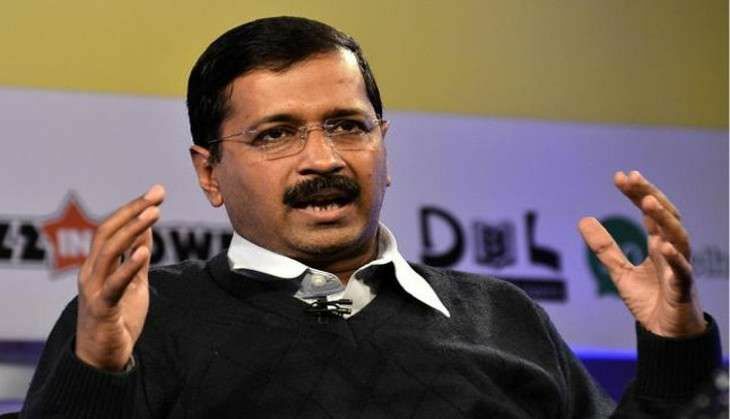 Advertising expenditure of all departments of the Delhi government is less than the total expenditure on Modi's clothes," CM Kejriwal said at a meeting with editors here. "I can give you the calculation. One dress that Modi wears is worth Rs 2 lakh. He changes clothes five times a day, (which comes to) Rs 10 lakh rupees (per day). He never repeats his clothes, doesn't wash them and reuse them," Kejriwal said, giving a detailed costing of PM Modi's wardrobe. The Aam Aadmi Party convener also accused a large section of the media of being either "scared or ignorant," citing the "five-hour non-stop broadcast" of the function organised to mark PM Modi's completion of two years in power as a case in point. "I think the media is either scared or ignorant. Not all, most of it. On completion of Modi's two years in power, a five-hour programme from India Gate was telecast non-stop by all media channels. Has this ever happened? So if they are doing that, then they should show the good work we are doing too. They are not doing that," Kejriwal said.